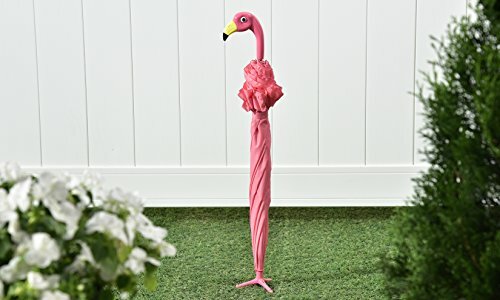 This pink flamingo umbrella is a great costume accessory, and can also be used to play croquet with! 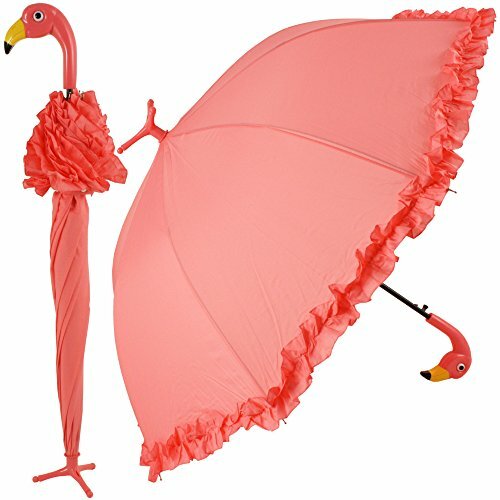 It has a flamingo head handle, ruffled edge, and three toed tip which allows the umbrella to stand on its own. Measures approx. 31" long total; umbrella measures 23" when shut, 38" dia. canopy when open. Brighten up your rainy days with this vibrant Pink Flamingo Umbrella. 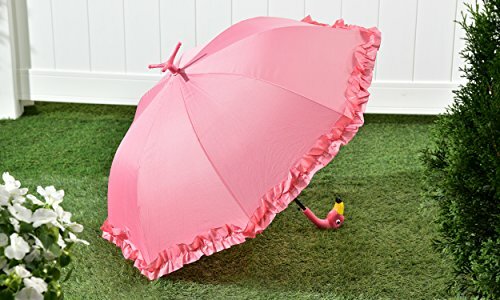 Unique design features an easy to grip flamingo head handle, ruffled edge, and three toed tip which allows the umbrella to stand on its own. Manually opens and closes. Measures approx. 31″ long total; umbrella measures 23″ when shut, 38″ dia. canopy when open. 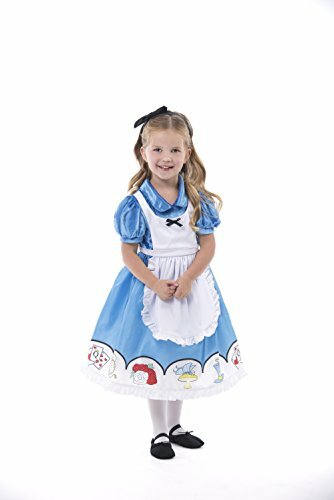 Made from Polyester, ABS, and Iron. A must-have for flamingo lovers! The Pompom showcases the neck and head of the flamingo.